Muddy says: Fabulous yurt cafe with fantastic breakfasts, lunches and coffee, definitely worth a visit in its own right but set amongst the beautiful Nicholsons Garden Design site. 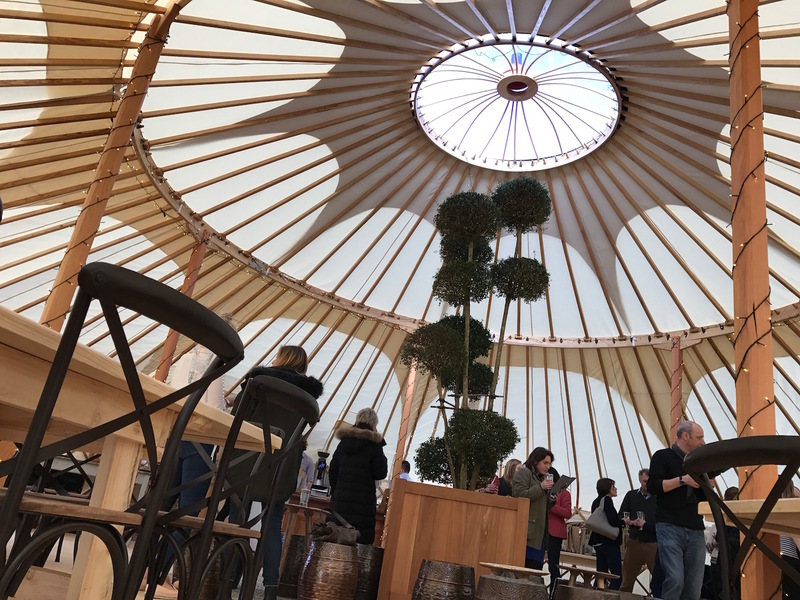 The Nicholsons’ yurt, like everything else this upmarket nursery produces, is beautifully presented – the building was hand made in Devon, from ash timbers, sanded by hand and treated with oils with a fleece lining for winter! The food is fantastic. Breakfasts include avocado mash (£7), chorizo with poached eggs (£9) and home baked granola (£4.50) whilst on offer at lunch are the likes of rare roast beef salad (£14.50) and a chilled cucumber and roast tomato soup (£7). It’s worth a visit in its own right (if you’re heading for a night at Soho Farmhouse it’s en route!) but you won’t be able to resist a wander around the spectacular plant nursery for which Nicholsons is famed.